This is the eleventh dinner in a row that we have cooked and ideas are running a little thin. I think tomorrow I shall take the day off. Sauce from a jar and frozen meatballs are on the menu tonight. The pasta was interesting though. It is spaghetti rigate. If you look closely you can see the striations on the strands. This makes the sauce adhere to the pasta better. 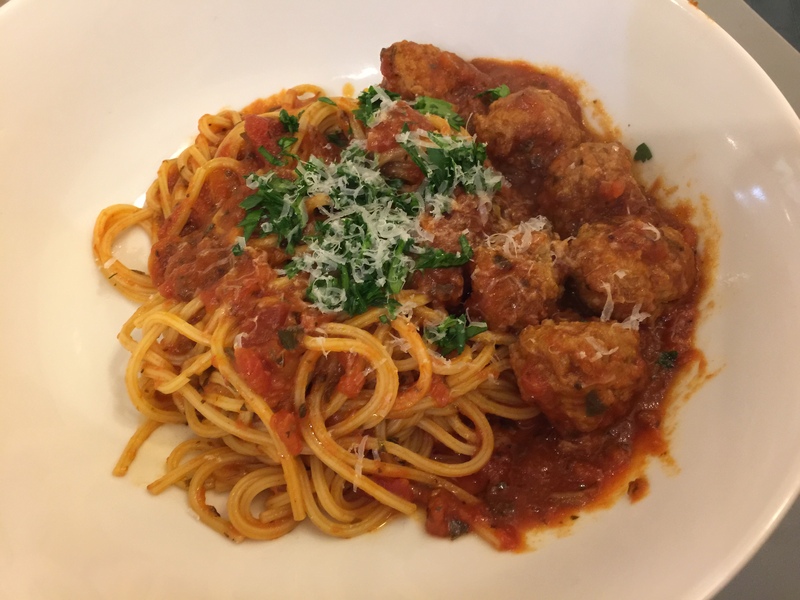 This entry was posted in Beef, Pasta and tagged meatballs, pasta, sauce, Spaghetti. Bookmark the permalink.